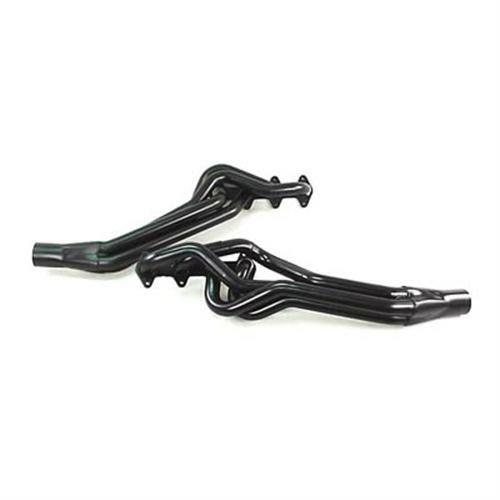 Give your 2005-2010 Mustang GT more horsepower & torque with a set of Pacesetter long tube headers. Looking for more power from your 2005-2010 Mustang GT 4.6L 3V? Now you can improve the performance of your S197 Mustang GT 4.6L 3V with these Pace Setter Long Tube headers. Manufactured from mandrel-bent, mild steel tubing, they feature thick steel flanges that are surface-ground for a leakproof seal to replace your stock exhaust manifolds. These Pace Setter Mustang 4.6L 3V Long Tube headers are finished with a standard black painted finish and come with hardware and gaskets,as well as illustrated instructions to help with installation. 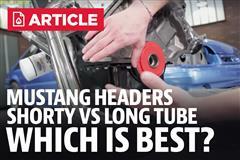 -Installation of long tube headers will require custom tune to prevent damage to your vehicle. If you already have a custom tune on your Mustang, please consult with your tuner prior to installation and operating your Mustang.